As a journalist, I have been involved in travel for many years, writing about destinations and countries and experiences, and reading what other people have to say. Leisure travel is supposed to be about rewarding, restful, restorative experiences. It can also be instructional and informative and, in the words of the cliche, mind broadening. The term “green tourism” is relatively new, and in the main it covers and promotes the more ecologically-friendly travel, accommodation and food options. I can’t recall a single article encouraging me to visit a place or thing simply because it happens to be a model of self-sufficiency and best environmental practice, demonstrating a zero energy alternative to the carbon-heavy lifestyle most people enjoy. We visit remnants of ancient civilizations. Should we not find a glimpse of a pioneer future development interesting too? Isn’t it enough that a place is interesting to make us want to visit it? 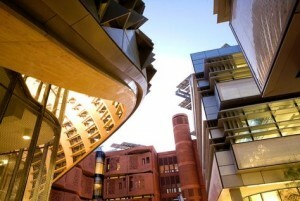 I have Masdar City, in Abu Dhabi, in mind. Work began on on this zero carbon, car-free, project, designed by Foster + Partners, in 2009, and already it is producing more energy than it consumes. It’s smaller and less ambitious than it was meant to be, and will take more time to complete. And yet there is nothing quite like it in the world. Why shouldn’t such a place feature prominently on a list of interesting tourist destinations. Particularly as it’s in the United Arab Emirates, one of the last regions where you would expect to find such a development. The latest news (2013) is that the city’s own solar farm is beginning to produce electricity. It has the capacity to power 20,000 houses. At this stage of building, and there is a lot more to do, Masdar is already producing more energy than it consumers. See my article here. It’s easy enough to reach the city, about 17 km out of Abu Dhabi city. Admission is free, and you can explore as you wish. Projects announced recently by Masdar include (2013) three desalination pilot plants, to be powered using renewable energy. The plants will explore ways to “harness natural resources, like solar, wind, geothermal” over the next four years. Currently 90% of Abu Dhabi’s water comes from salivation plants, powered mainly by natural gas. The big development at the start of 2013 is the opening of the Shams 1 solar farm. It has a capacity of 100 megawatts of electricity, enough to power 20,000 homes. Shams is the first solar power plant of its kind in the Middle East and North Africa region. The website Green Prophet reported on developments at Masdar City following a visit it made there in January 2013. The Prophet noted that the economic zone that will act as a hub for 100 clean tech companies, a sort of Middle Eastern Silicon Valley, is nearing completion. So is Siemens’ regional headquarters. The hope is it will achieve some of the very top green building ratings. The solar panels on the Masdar Institute rooftop provide 30 percent of the current energy demand, with the rest made up by the city’s other solar capacity. The surplus energy produced will be fed into the National Grid, which means that for now, Masdar City produces more energy than it consumes.